Preheat oven to 220°C (425°F). Place the prawns, chilli, thyme, garlic, oil, lemon rind, salt and pepper in a large bowl and toss to combine. Heat a large, heavy-based ovenproof frying pan over high heat. Add the prawns and cook, turning, for 2 minutes. Remove and set aide. Add the couscous, water, tomatoes, paprika, salt and pepper to the pan and mix to combine. 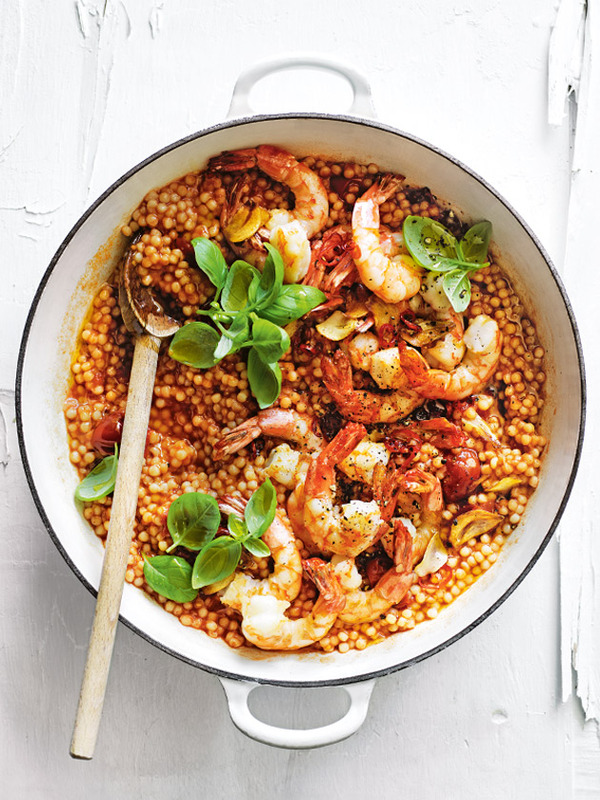 Add the prawns, cover with a lid and cook in the oven for 15 minutes or until couscous is tender. Top with basil to serve. Serves 4.